The continually evolving digital landscape has caused a rise in the popularity of influencer marketing, changing the way brands advertise and launch new products. Nowadays, it’s easier than ever for influencers to digitally share what they’re excited about—and savvy marketers have taken notice. Brands across all industries are turning to influencer marketing as an alternative to traditional advertising, which can be expensive and inefficient. Instead of focusing on their target market as a whole, brands are identifying “influencers,” or individuals who have influence over potential consumers, and building campaigns around them—and the timing couldn’t be better. Consumers are increasingly distrusting of traditional advertising (83% of Millennials and Gen-Z trust the recommendations of their peers above all other forms of advertising). And it makes sense—you’re more likely to trust the recommendation of your good friend Sally than a commercial. Some influencer campaigns are sales and acquisition based, while others are focused on brand awareness. Before selecting influencers for your brand, get crystal clear on your goals and what you expect from your influencers. Celebrities and macro influencers (AKA Instagram celebrities) typically have hundred of thousands to millions of followers. While these types of influencers have the highest reach, they don’t necessarily have the greatest amount of influence. Because of their high follower count and/or name recognition, they’re always being approached by brands, which means they’re typically promoting many products at the same time, making them appear less authentic and more salesy. However, due to the sheer size of their following, they may be perfect for a brand awareness campaign. Micro influencers typically reach an extremely targeted audience. While they tend to have fewer followers than Instagram celebrities, they normally enjoy a higher level of engagement, likely because they appear more relatable. They aren’t strangers—they’re your sorority sister, your lab partner, your class president. Micro influencers can have immense influence because they have a more authentic relationship with their social media followers. This one seems like a no-brainer, but it’s incredibly important to select influencers whose personal brands align with your brand. For example, a brand selling weight loss products shouldn’t try to partner with a body-positive activist. It would dilute the validity of the brand and the influencer alike. Where as a skincare brand would partner well with a micro-influencer student who is studying dermatology. Finding an influencer who embodies the brand doesn’t just lead to his or her individual success, it ensures the success of the entire campaign. Aerie, the body-positive female retail brand does an incredible job selecting appropriate influencers. 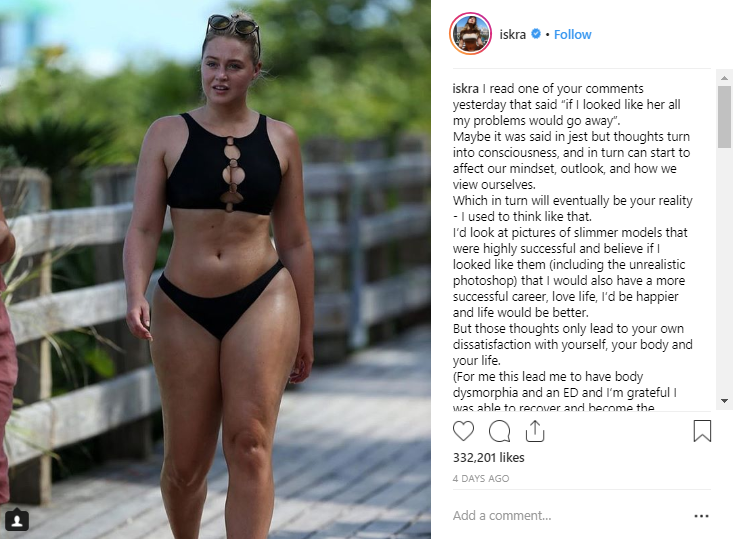 Their spokesmodel, Iskra Lawrence, is known as a body positive activist and aligns perfectly with the brand. The right influencers are able to successfully reach and influence hundreds, and sometimes thousands, of people at once. This influence is created through an engaged social media following, a strategic and unique posting style, and an informed knowledge of the overall digital landscape. Additionally, your product should align with what the influencer typically shares on their social channels, otherwise their followers are going to recognize the branded post as an ad and tune out. You wouldn’t see the woman on the cover of Forbes posting about her paid sponsorship with fitness tea. Many brands work with a variety of influencers on a short term basis, exchanging product and/or compensation for a fixed number of social posts. However, more and more brands are looking to create long-term partnerships with influencers who may become something of a spokesperson. This strategy creates the opportunity for your brand to develop a meaningful relationship and for influencers to generate authentic content over time. Keep in mind, not all influencers are created equal. Your brand must be selective when choosing which influencers to partner with. Never make the decision solely by looking at an individual’s follower count. Trust me—you won’t get the results you’re looking for. In order to launch a successful influencer campaign, you must take the time to properly vet potential influencers, making the best choice for your brand. Want to leverage micro influencers on campus but aren’t sure how to get started? Finding the right partner is key to your success. Here at YMC, we’ve been helping brands connect with 15- to 29-year-old consumers for two decades—we’d be happy to share our wealth of knowledge with you. Contact us today!